A recent study has found that the temperature of hot tea is linked with elevated risk of oesophageal cancer. 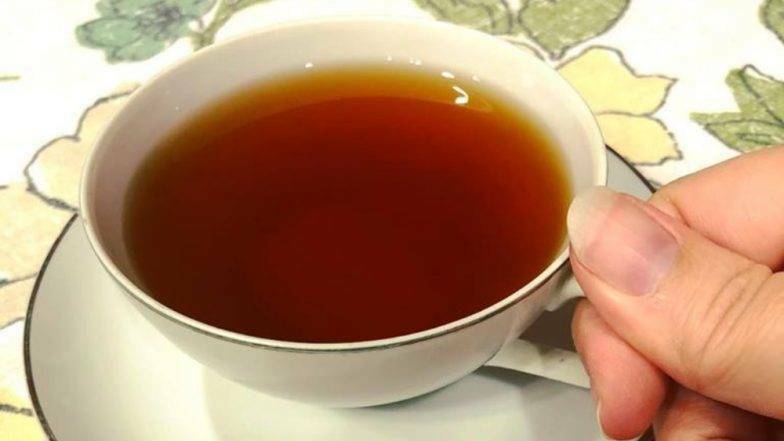 However, previous studies had already established a link between drinking hot tea and oesophageal cancer.The study, which appeared in the International Journal of Cancer, has examined this association between hot tea and oesophageal cancer by prospectively and objectively measuring tea drinking temperature and following 50,045 individuals aged 40 to 75 years for a median of 10 years. During follow-up, 317 new cases of oesophageal cancer were identified. Can Killing Cancer Cells Be This Easy? Scientists Think of Using Oxidative Stress To Destroy Tumours. Compared with drinking less than 700 ml of tea per day at less than 60degC, drinking 700 ml per day or more at a higher temperature (60degC or higher) was associated with a 90 per cent higher risk of oesophageal cancer.A lot of people enjoy drinking tea, coffee, or other hot beverages. However, according to this study, drinking very hot tea can increase the risk of oesophagal cancer. It is, therefore, advisable to wait until the hot beverage has cooled down before drinking it. What Causes Cancer? Here Are The Top Factors According To Science. Apart from drinking hot beverages, there are other factors that could up your risk for oesophageal cancer. Gastroesophageal Reflux Disease: Stomach acids can cause precancerous changes in the cells of the oesophagus. Smoking: Smoking can trigger cancer of the squamous cells that line the oesophagus. Alcohol: Like smoking, drinking alcohol is also linked to squamous cell cancer of the oesophagus. Obesity: Obesity is linked to one in four oesophageal cancers in men and one in 1o in women. Drinking hot liquids: A habit of drinking hot liquids can a risk factor for oesophagal cancer.